POSITIVE and PREGNANT - Positive and Pregnant docudrama feat. Lorna Henry based on the prevention of mother/parent to child transmission of HIV. PLEASE VIEW, LIKE & SHARE THIS FILM Appreciate the contribution made by Lorna Henry. 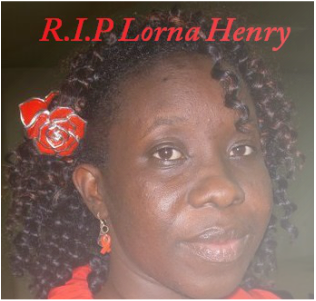 "It is with deep regret that we acknowledge the passing of Lorna Henry who spent more than a decade of her relatively short life as an active crusader in the fight against the spread of HIV/AIDS. Lorna also pioneering as an advocate for the awareness of Prevention of Mother to Child Transmission of HIV (PMTCT). Her contribution was made not only in Trinidad and Tobago but also in the wider Caribbean and beyond. The Walker Lela Foundation wishes to extend its condolences to the members of her family and considers it a fitting tribute to Lorna Henry by sharing, with the wider community on social media, the film POSITIVE AND PREGNANT in which she is featured. This award winning educational film was produced in support of the efforts to eradicate the Parent to child transmission of HIV/ AIDS in the Caribbean." PLEASE VIEW, LIKE & SHARE THIS FILM if you appreciate the contribution made by Lorna Henry.